In bud and flowering beautifully right now, available whilst limited stocks last. 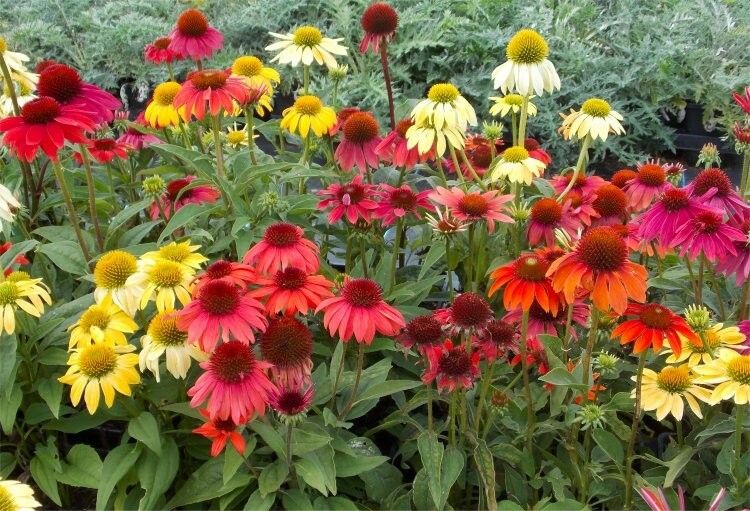 Echinacea Cheyenne Spirit is a brand new, award winning variety, other retailers are offering baby plug plants for these, but with us you can buy plants already taking centre stage. The pictures have all been taken here of the actual stock as supplied in the flowering season. 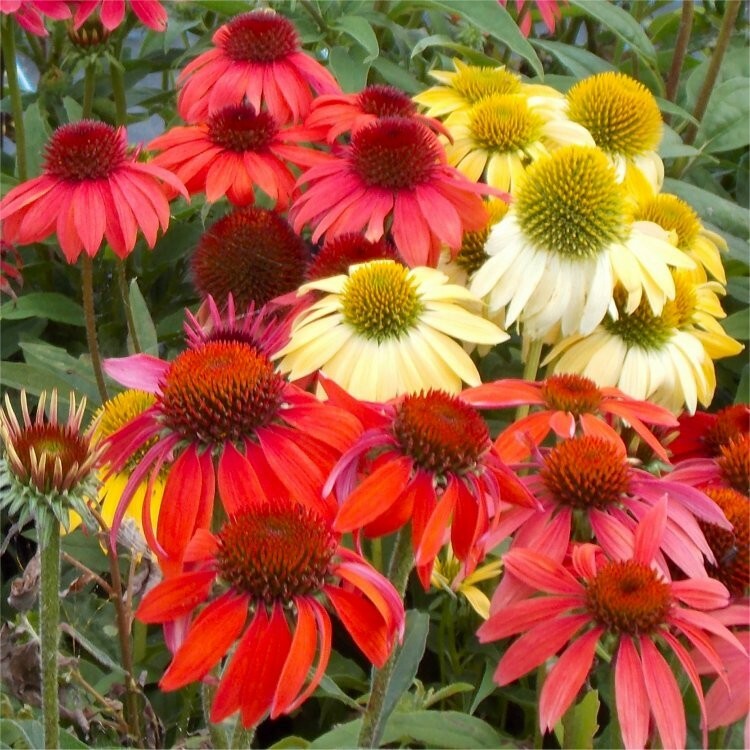 Also know as Cone Flowers, Echinacea are fully hardy perennials, frost proof and drought tolerant - despite the tropical looking colours!!! 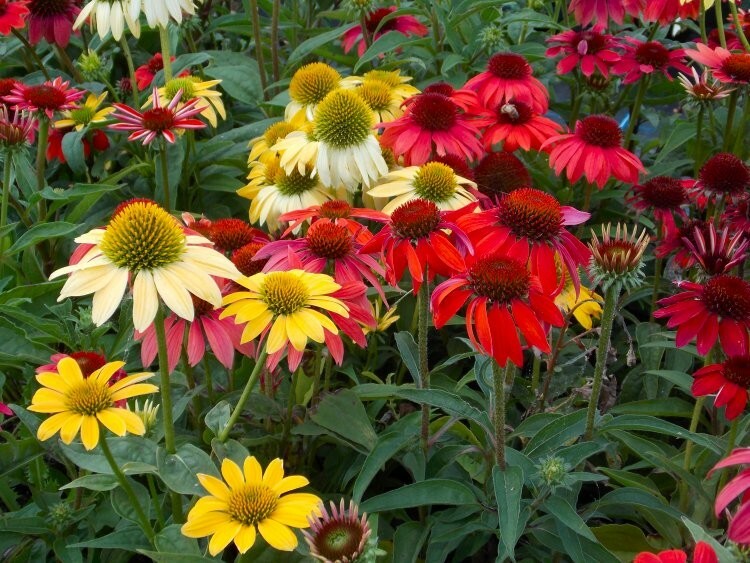 They'll provide a great display in your garden in the first year, and many seasons of incredible colour thereafter. 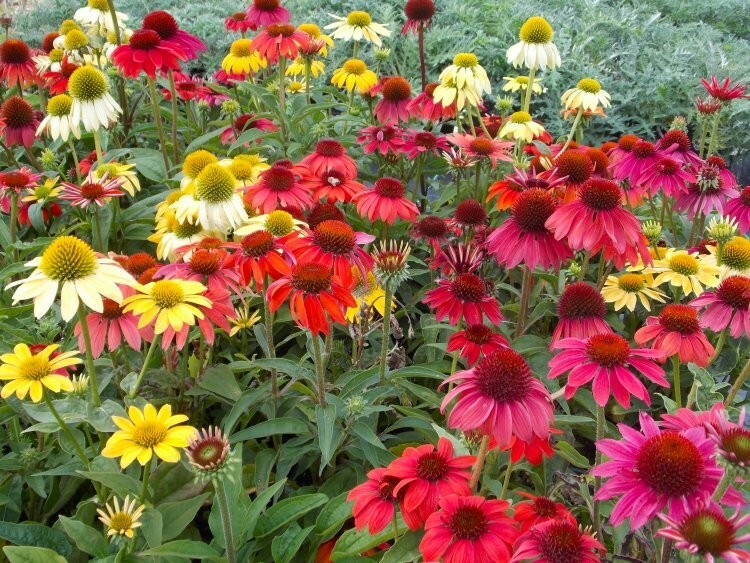 Thriving in full sun and well drained soil, the colour range of Cheyenne Spirit is something quite astounding. The plants are also very well branched, which means more flowers per plant. Cheyenne Spirit features all the sought-after colours of red, orange, purple, scarlet, cream, yellow and white. We have a limited supply - so if you want to get your hands on these beauties, do order today! Pack of FIVE Plants, each supplied in an approx. 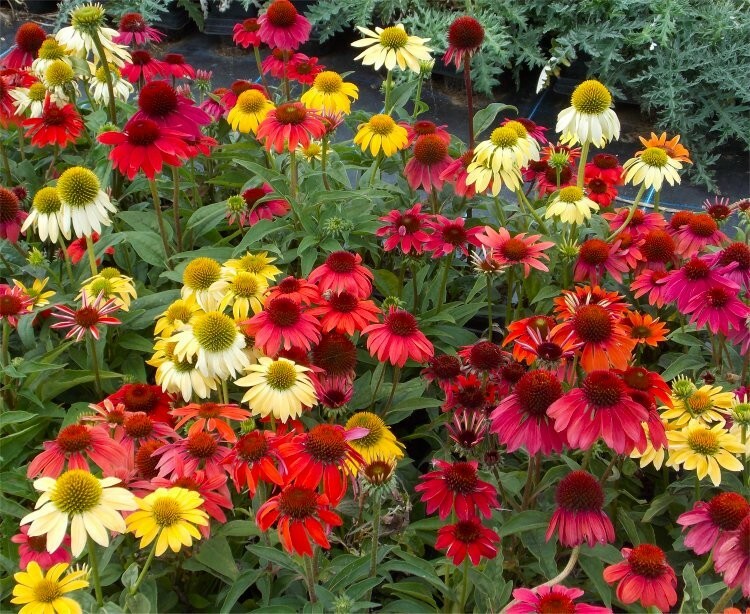 1-2 litre pot, full of buds and flowers as pictured in season, across a wide colour range.